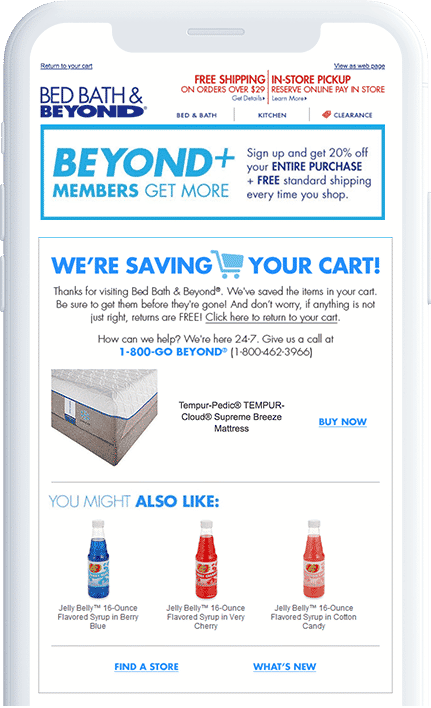 Bed Bath & Beyond, valued at $12 billion, announced in 2016 that it would improve its digital strategy by relaunching its mobile app, revamping the website, and spending more on personalization. We’re happy to say that the home retail mecca delivered on its promise. The strategy has matured and extended to email personalization in abandoned cart series where products left in carts are considered when BBB sends DIY articles or relevant content, if you were browsing the bathroom category of the site, like glamming up your vanity. We’re expecting to see BBB increase digital spending, as consumers navigate to its competitors, like digital-only brands, for more home items and BBB’s income dropped from $75 million in Q1 of 2017 to $44 million in Q1 of 2018. If Bed Bath & Beyond continues to leverage its customers data and flesh out its strong foundation, we think we’ll see them score even higher and beyond, as the brand looks to carve a place for itself in the age of modern retail. Bed Bath & Beyond does abandoned cart emails well; they’re not too pushy and also include other product recommendations. The retailer takes it one step further by retargeting customers with related content. If you have bathroom items in your cart, for example, you’ll likely see content about glamming up your vanity. Bed Bath & Beyond’s inventory seems to go on forever -- there are more than 2,500 comforter sets alone -- and it could be overwhelming. However, the brand curates categories and makes personalized recommendations in order to help guide customers in the right direction. There’s a mix of what’s popular and what an individual’s behavior indicates they might like. Bed Bath & Beyond takes a light-hearted approach to content that complements its products. 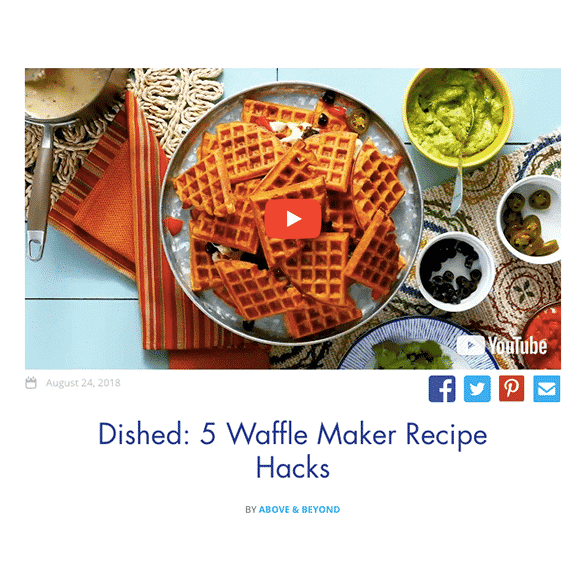 The retailer’s blog, Above & Beyond, is filled with life hacks and home tips, from waffle iron recipes to how to make your closet seem bigger. 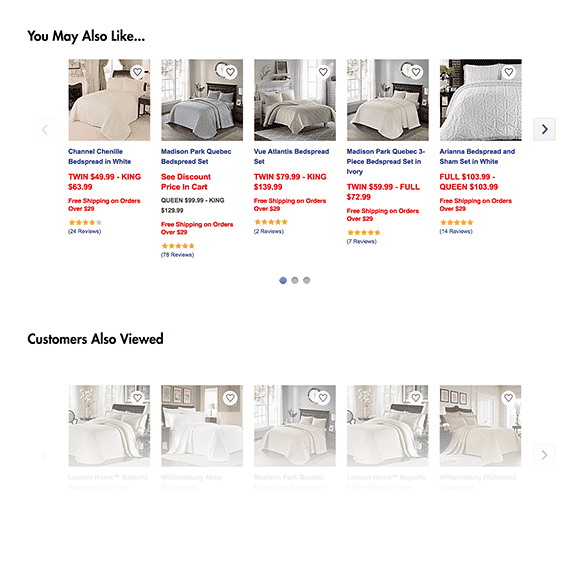 Bed Bath & Beyond also incorporates content into the site itself with helpful video tutorials.